I liked the lighting when I took the reference photo for this painting, with the sun coming out from behind the rock. I also liked the markings in the rocks, which looked stripy. 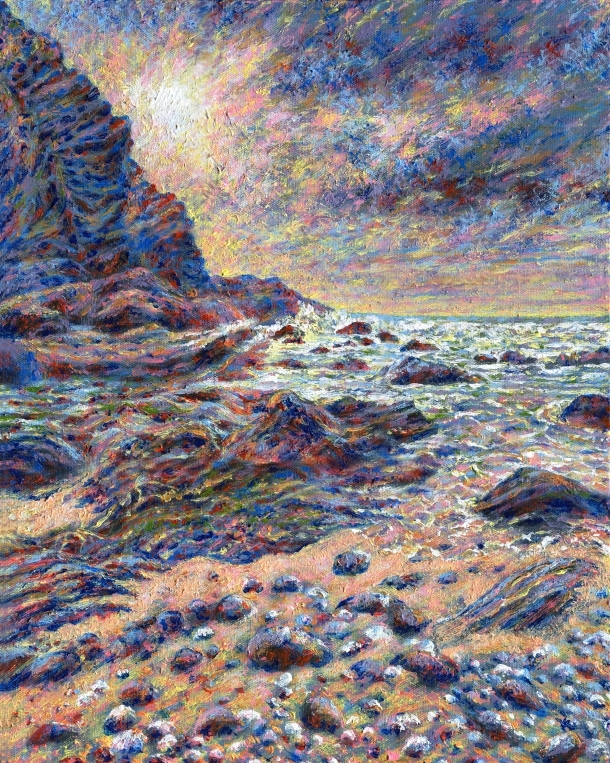 For rough rocks and a winter sea, a textured painting seemed like it would suit this scene.